Dr. David Robinson is a Board Certified obstetrician/gynecologist with extensive experience in the field of urogynecology. 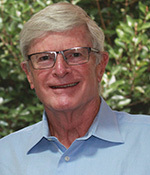 Â He has a combined 37 years of clinical and industry experience. He has provided medical/scientific expertise to both mature and start up business units leading to successful development, regulatory approval and launch of devices in these spaces. This is Dr. Robinsonâ€™s 3rd start-up, and second with Ms. London Brown. Â He previously served as the CMO for Aegis Womenâ€™s Health Technologies, also in RTP. He is the former Medical Director, WorldWide for the Neuromodulation Solutions team, an internal start up within the Johnson & Johnson Global Surgery Group. Prior to that, he served as Medical Director, WW for Ethicon Womenâ€™s Health and Urology. He provided medical/scientific expertise into device design, evidence generation strategy, trial design and execution for devices in the treatment of female stress urinary incontinence and pelvic organ prolapse.